If you didn't get your fill watching pumpkins flying through the air over the Thanksgiving weekend, Bosch is just in time with their second Bosch Beatdown Crew video that might satisfy your need for potential destruction. In their first video, Bosch put bat to radio in the stands of Wrigley Field to show us that their Power Box 360 radio can handle a beating. 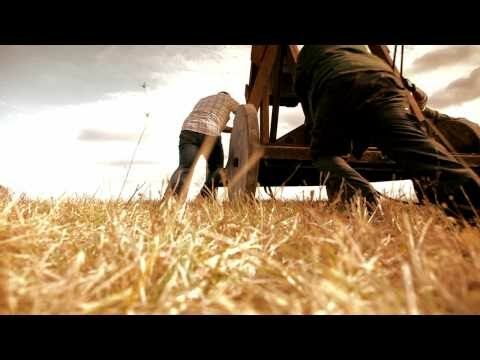 In this second video they go a little more extreme by launching one of their radios over 150 feet using some good old medieval weaponry. This test is a little harder then their typical drop test, but the end results were the same; they started with a working radio, and ended with one.